Home > Episode 1,666: Who Will Stand Up to the First Order in Episode IX? 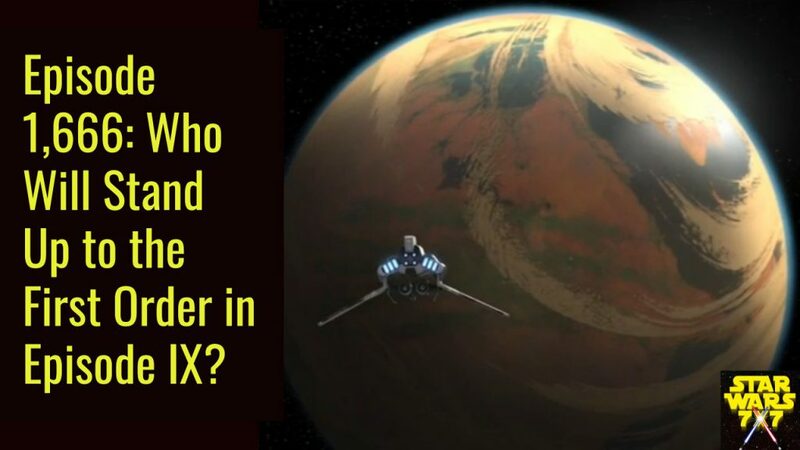 The New Republic and the Resistance may not be as wiped out as we thought, but even a year after the Hosnian attack, they’re still not ready to take on the First Order by themselves. So, who’s going to come to the galaxy’s rescue? I’ve got the answer for you today. Punch it!